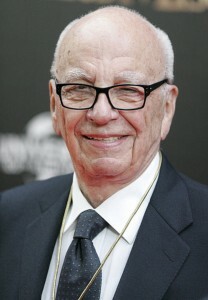 FBI Handed British Prosecutors Mountain of Emails from Murdoch’s News Corp. The FBI gave British prosecutors access to about 80,000 emails from Robert Murdoch’s News Corp. as part of the ongoing phone-hacking scandal involving the media giant, the New York Daily News reports. The news came Thursday as Murdoch was in London dealing with the conviction of one of his former star editors, Rebekah Brooks. The FBI copied the emails from servers at News Corp.’s Midtown headquarters. The messages include emails that Brooks sent up the chain of during the scandal. Although the emails were shared with British prosecutors, the messages were never used during the trial of Brooks and former News of the World editor Andy Coulson. It’s unclear what the FBI plans to do with the emails. Posted: 6/30/14 at 12:30 AM under News Story.